Chris Au is a concert pianist who is passionate about sharing music with people and serving the arts in society. Upcoming engagements include the “Midday Music with Shigeru” concert series in Barrie. Mr. Au was born in Hong Kong and raised in Sydney, Australia from the age of 5. He began serious studies with Australian pedagogue Margaret Hair at the age of 14, and won the Sydney Eisteddfod Recital First Prize in 2007. Mr. Au made his first trip to Germany after high school and won the “First Audience Prize” at the 2010 Klaviersommer Bad Bertrich whilst studying with John Perry. Since then, he has performed internationally in Hong Kong, Los Angeles, the Netherlands, Germany, Spain, and Canada. He has had the great opportunity to work with legendary artists such as Menahem Pressler, Leon Fleischer, Richard Goode, and Robert McDonald. 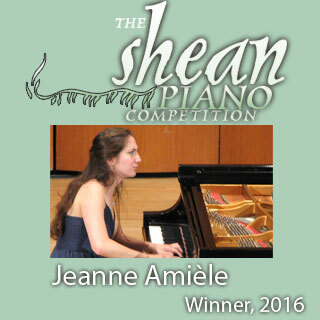 Recently, he was accepted into the 2015 Dublin International Piano Competition. Mr. Au began undergraduate studies at the Colburn School in Los Angeles, and is now continuing studies at The Glenn Gould School of the Royal Conservatory of Music in Toronto. He studies with John Perry and David Louie, and is the recipient of the Joan and Jerry Lozinski Scholarship.